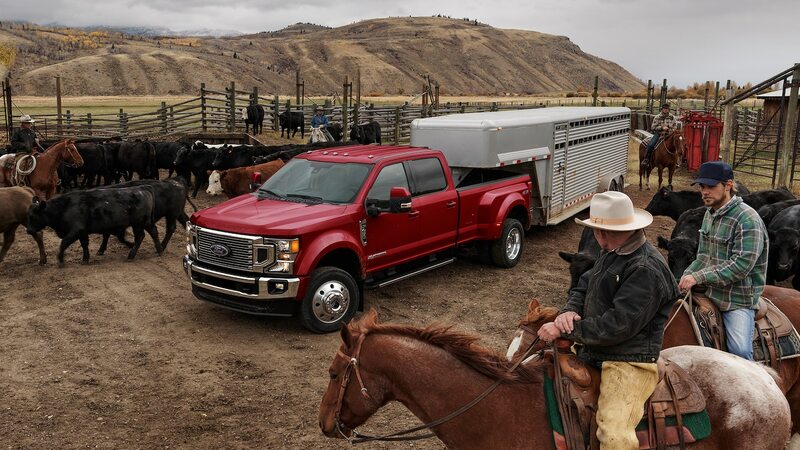 This fall the typical three-year transition to a completely new Ford Super Duty becomes complete. 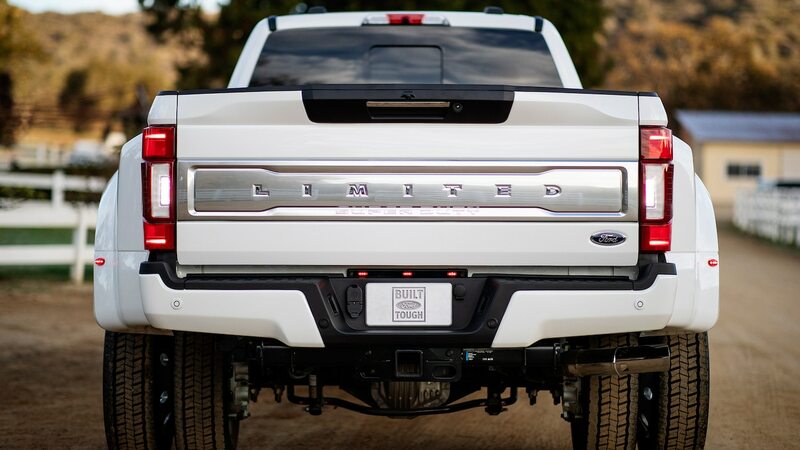 The transformation began with the epic swap from steel to aluminum for most of the bodywork back in the 2017 model year. 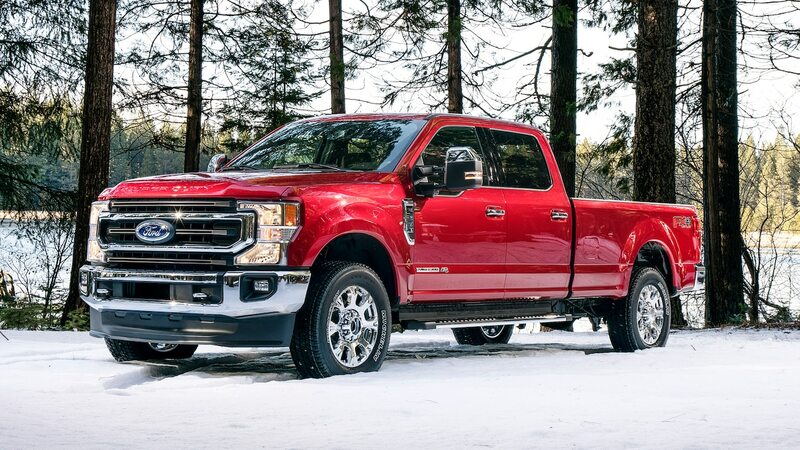 That truck was actually the first completely new Super Duty since 1998, so we can forgive the company for developing and launching its new body and chassis with carryover powertrains. 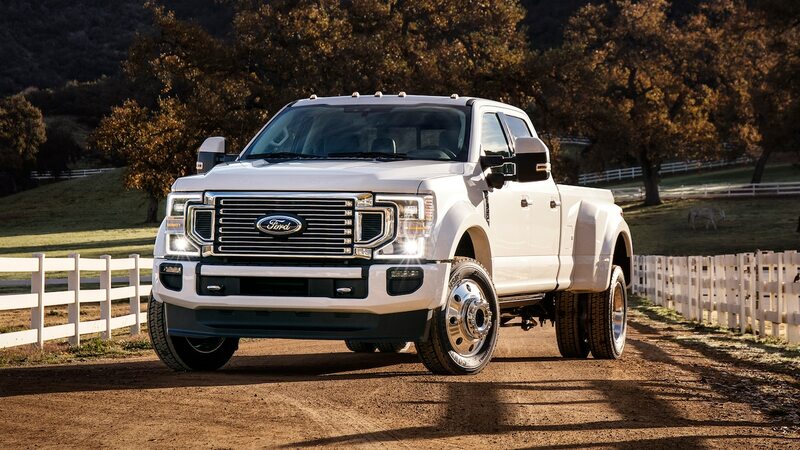 Ford has spent the last few years renewing most of what goes under the hood and (transmission hump). 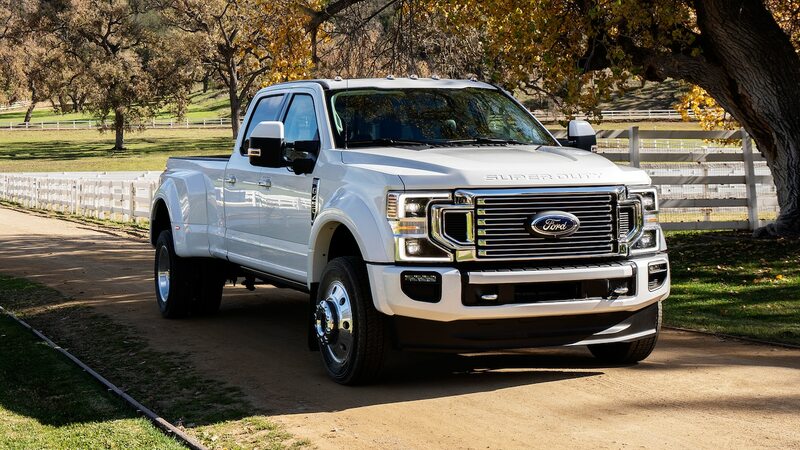 Read 11 Power(train) Points on the new 2020 Super Duty’s new engines and transmissions here. 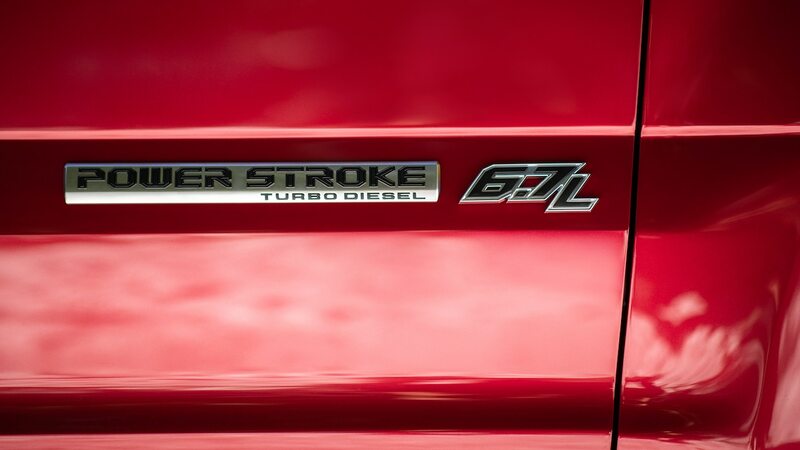 With 60–70 percent of Super Duty buyers opting for diesel and with a lot of news being made recently by competitors in this space, it’s no surprise that the Power Stroke 6.7-liter turbodiesel V-8 has undergone a thorough freshening while retaining the essential architecture that first appeared for 2011. 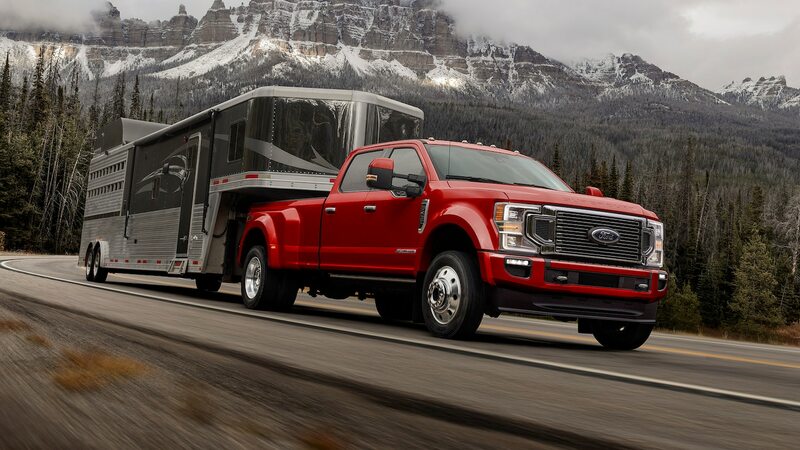 Ford will no doubt spend most of the months between now and the Super Duty’s fall 2019 on-sale date tweaking and tuning the engine (and truck) to ensure its power, torque, payload, and towing numbers trump those of all competitors. 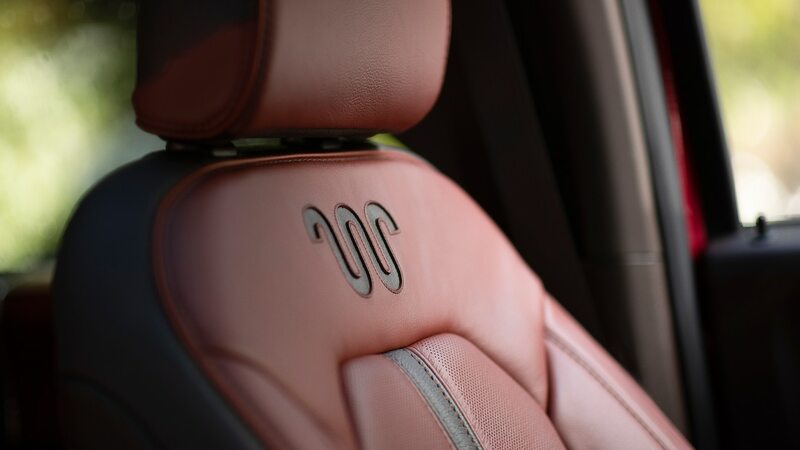 For now, all we can tell you is to expect the numbers to improve from today’s 450 hp, 935 lb-ft, 7,640 pounds (3,465 kg), and 35,000 pounds (15,876 kg). 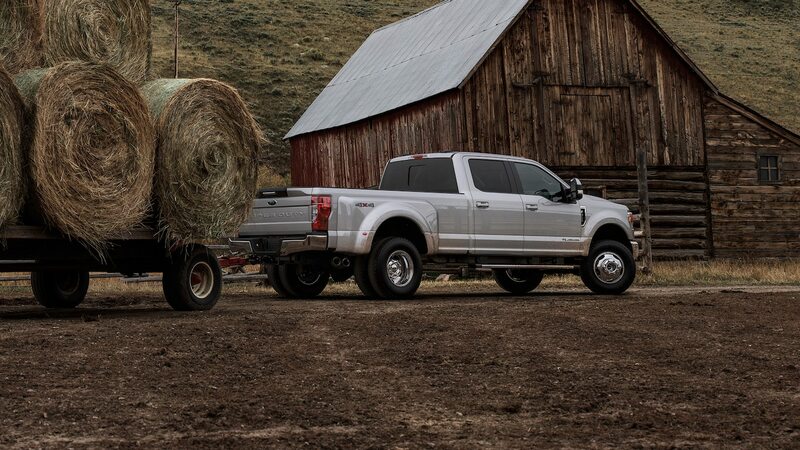 The current target is the Ram 3500, which launched in January and raised those bars to 1,000 lb-ft, 7,680 pounds (3,483 kg) of payload, and 35,100 pounds (15,921 kg) of towing. 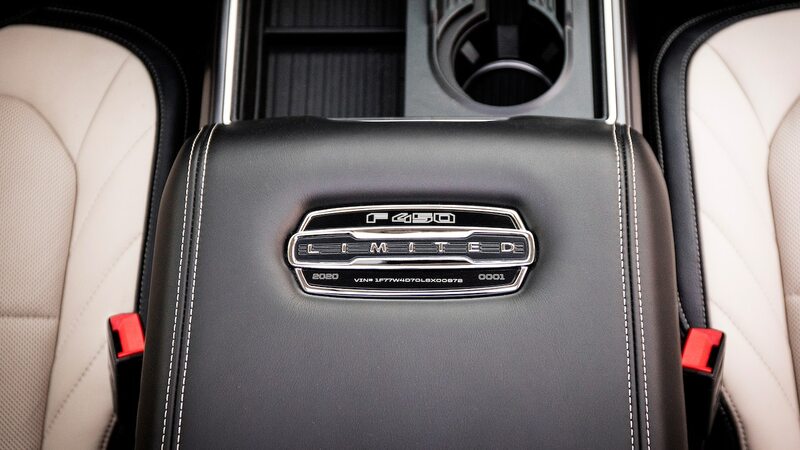 GM has yet to divulge the numbers for its newest HD, but expect Ford to try to top them all. 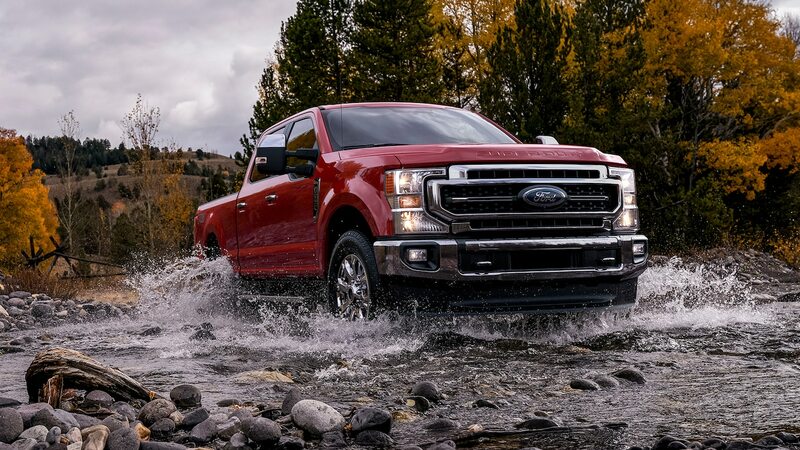 The more interesting news is on the gas-engine front, where Ford seems to have taken an “Even if you beat ’em, join ’em anyway” approach. 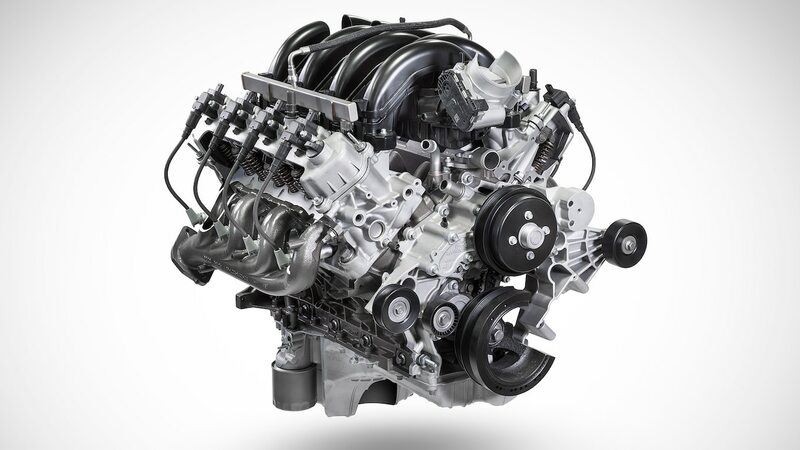 The Blue Oval owns 44 percent of the commercial truck market, handily outselling its domestic rivals, and yet the company is putting its modular 90-degree Triton 6.8-liter SOHC V-10 engine out to pasture in favor of the competition’s preferred pushrod V-8 configuration. 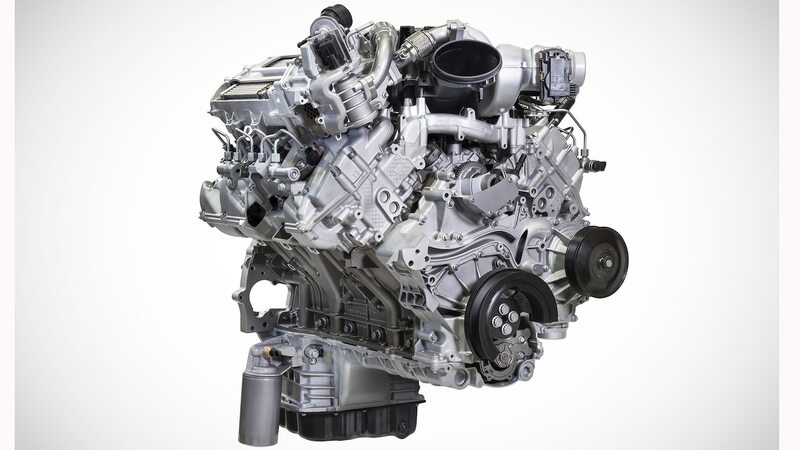 After 22 years, Ford’s Modular/Triton architecture is reaching the end of the road, and the Super Duty team acknowledged the power- and torque-density advantage held by the cam-in-block setup GM and FCA have used all along. 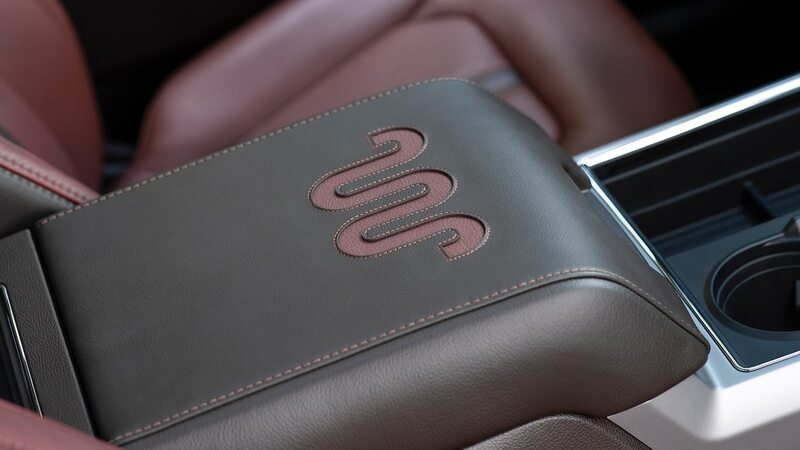 Oh, and we confirmed the new V-8’s internal “Godzilla” code name when we found it printed on a valve-cover ID tag in a test vehicle. 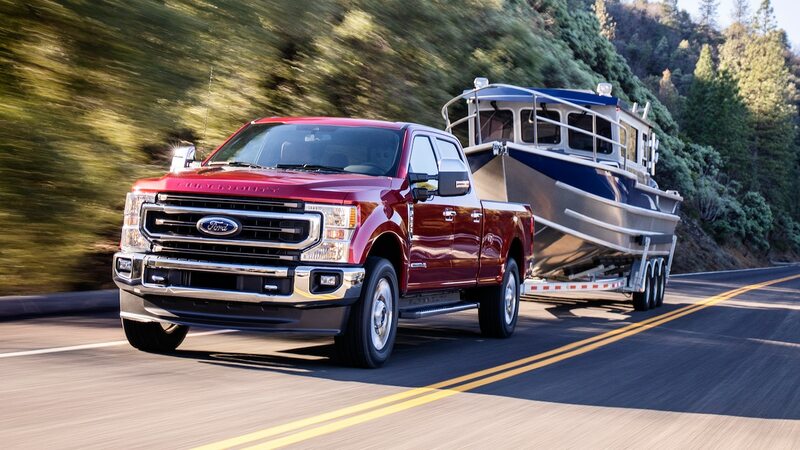 Here again, power, torque, payload, and towing stats have yet to be disclosed. 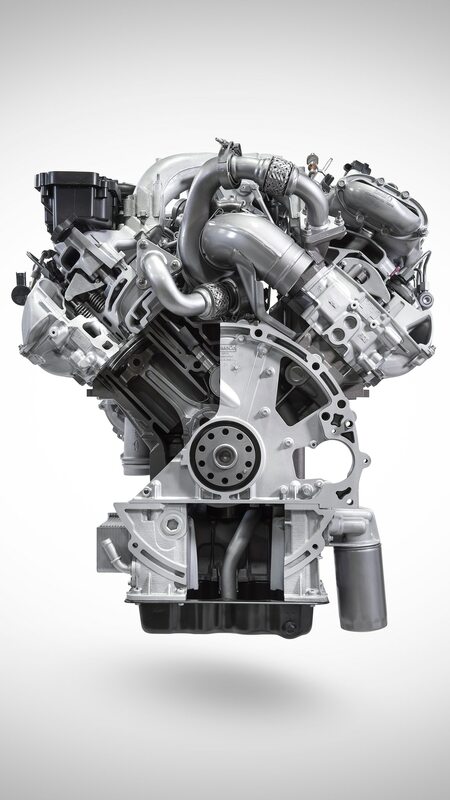 A third engine offering, at least at the beginning on base models, will be the carryover 6.2-liter Boss SOHC 16-valve V-8, which will likely continue to produce 385 hp and 430 lb-ft of torque. 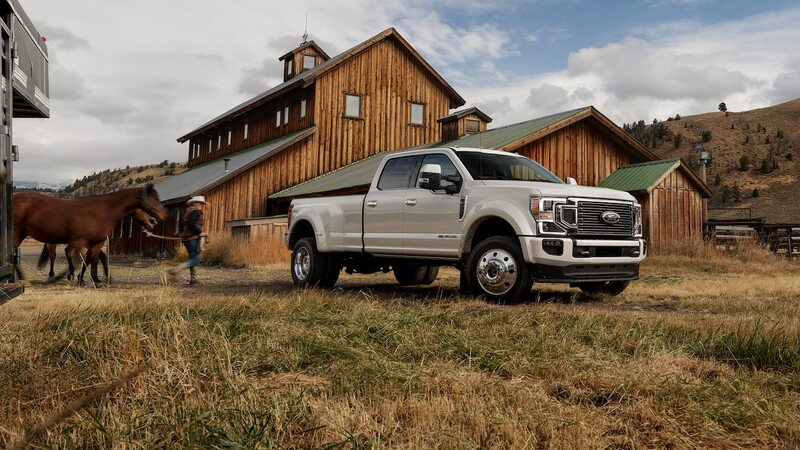 All three engines will be paired with a new 10-speed TorqShift transmission that is a heavy-duty incarnation of the new transmission architecture already available in the Mustang and F-150. 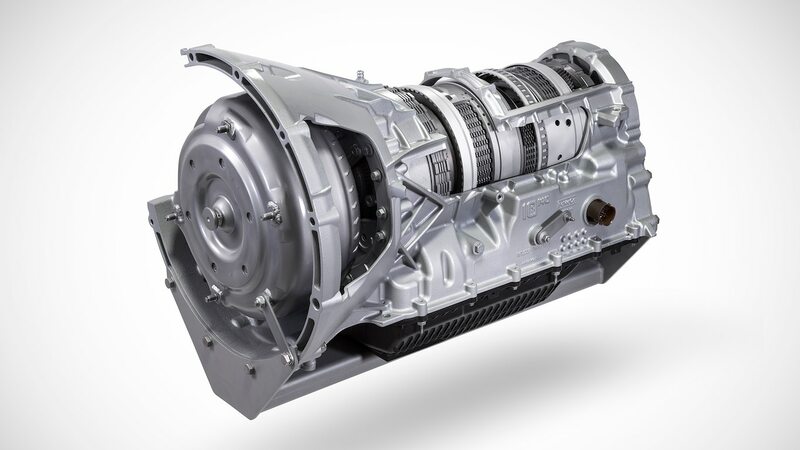 It’ll be interesting to compare it with the Allison 10-speed GM is putting in its HD pickups, as that one is believed to also utilize the planetary gear and clutch design that was co-developed by GM and Ford. 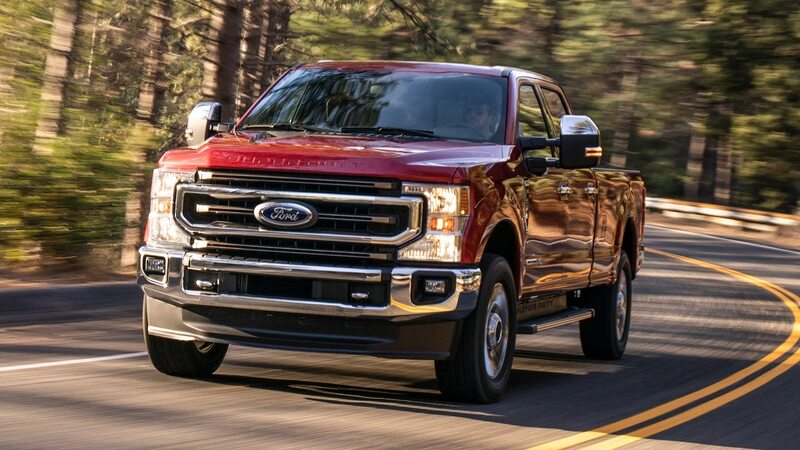 For a deeper dive into the engine and transmission tech—all of which Ford has subjected to 7 million miles (11 million km) of torture and durability testing—see our 2020 Ford F-Series Super Duty Powertrain First Look. 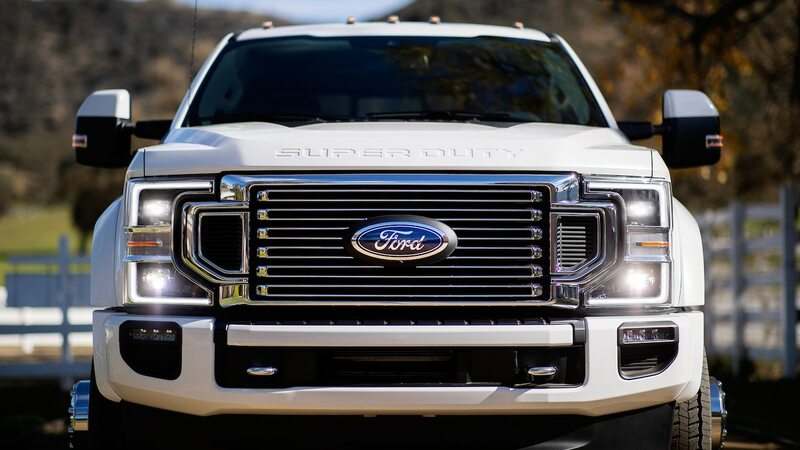 Naturally Ford is taking this opportunity to update the Super Duty to the latest and greatest level of connectivity and advanced driver assistance technologies. 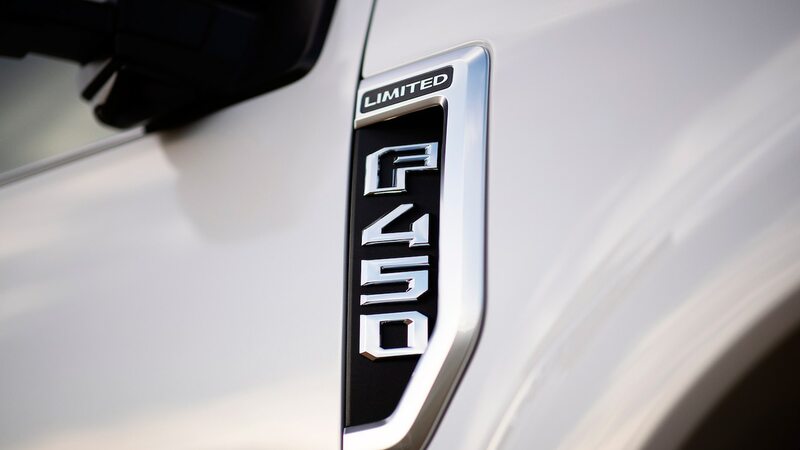 Standard FordPass Connect technology with 4G LTE modem brings Wi-Fi connectivity for up to 10 devices to all models, and Ford offers fleet managers a suite of telematics and data services to help monitor driver behavior and optimize costs and fleet utilization. 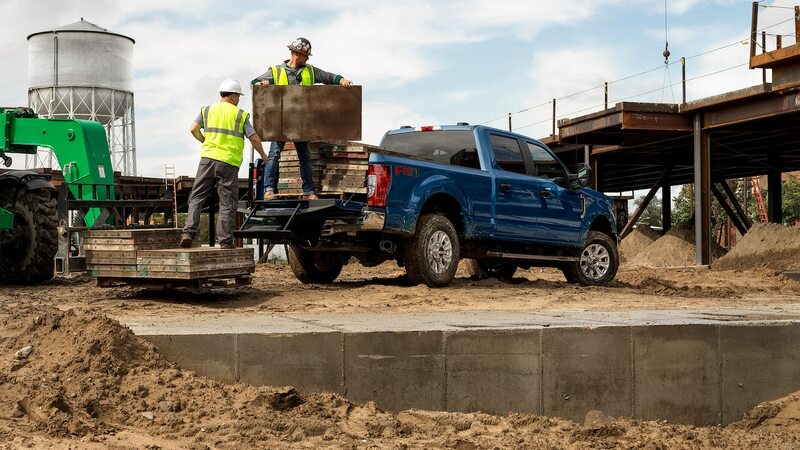 There’s available wireless charging plus USB type A and C jacks to keep everyone’s technology juiced while on the job. 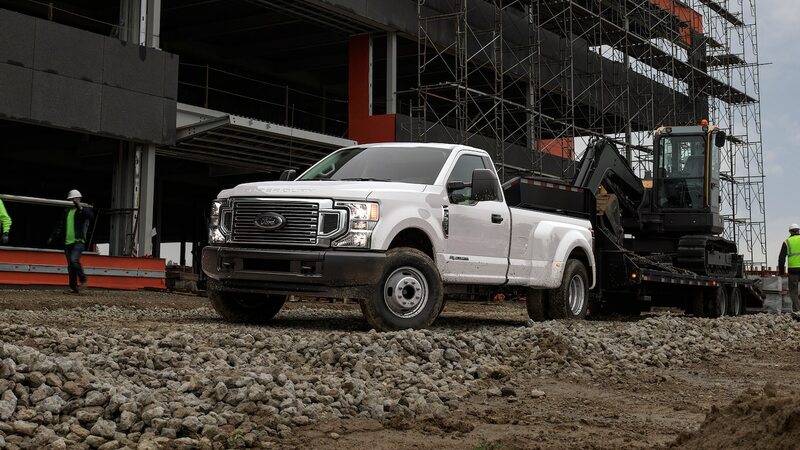 To reduce downtime due to accidents, all trim grades from XLT on up get standard automatic emergency braking with pedestrian detection, lane-keeping alert, and blind-spot information with trailer coverage. 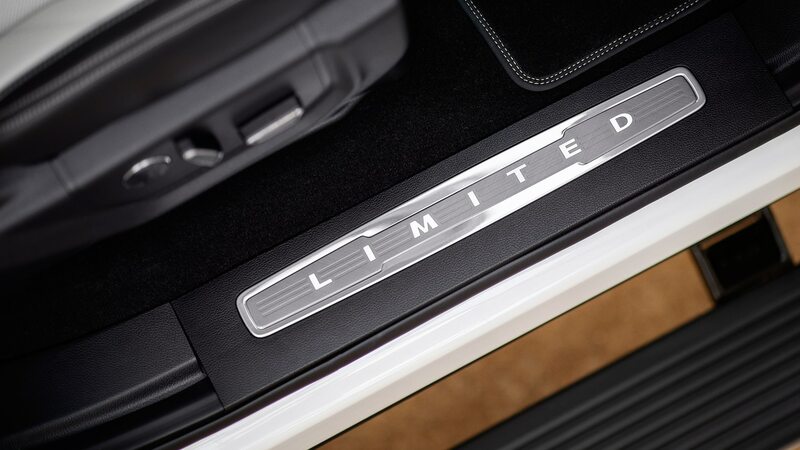 These items are optional on the XL grade. 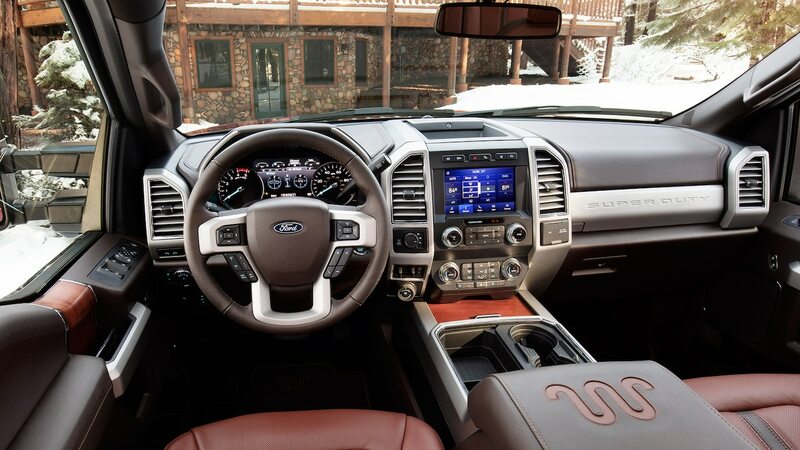 Other useful driver-assistance options include adaptive cruise control and Pro Trailer Backup Assist. 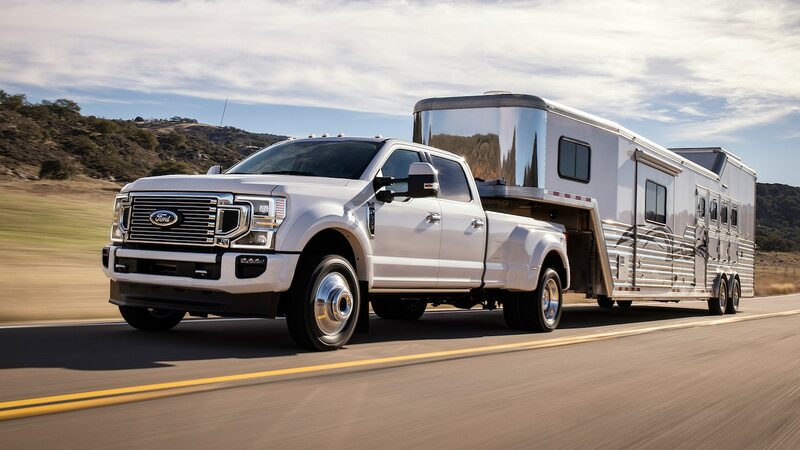 The latter allows the driver to steer a reversing trailer via a knob, and new for 2020—it works with gooseneck or fifth-wheel trailers. 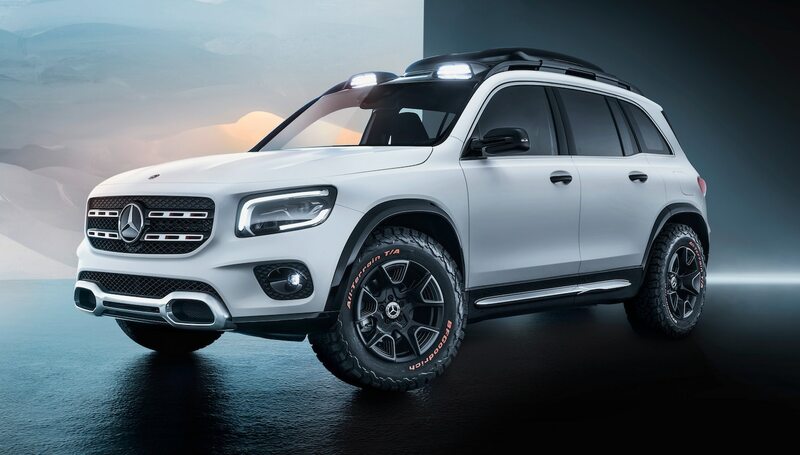 Design-wise there are new grilles, with special enlarged openings on all dual-rear-wheel models to further improve cooling. 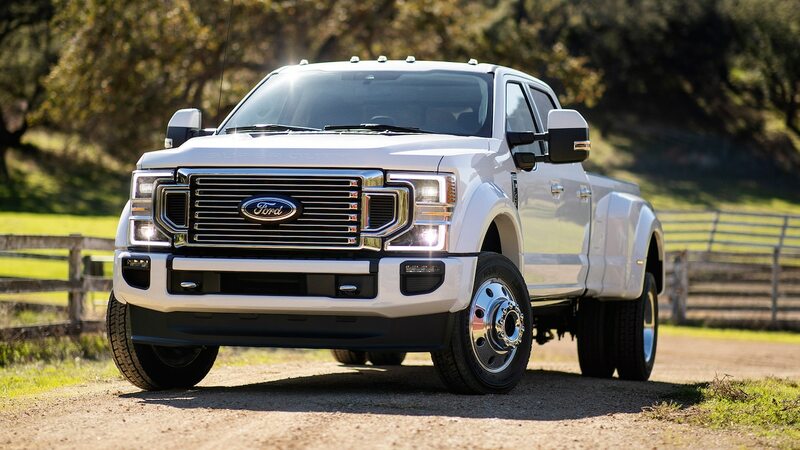 LED headlights improve illumination and high-line models get new signature daytime running lamps. 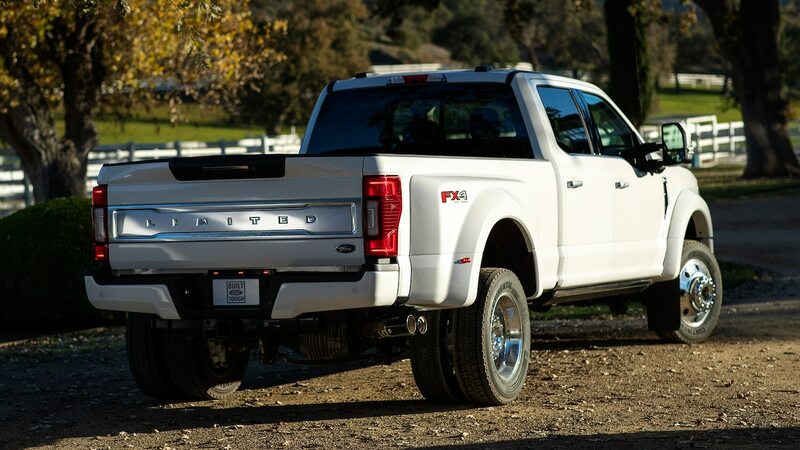 There are three new taillight designs and seven new wheel styles. 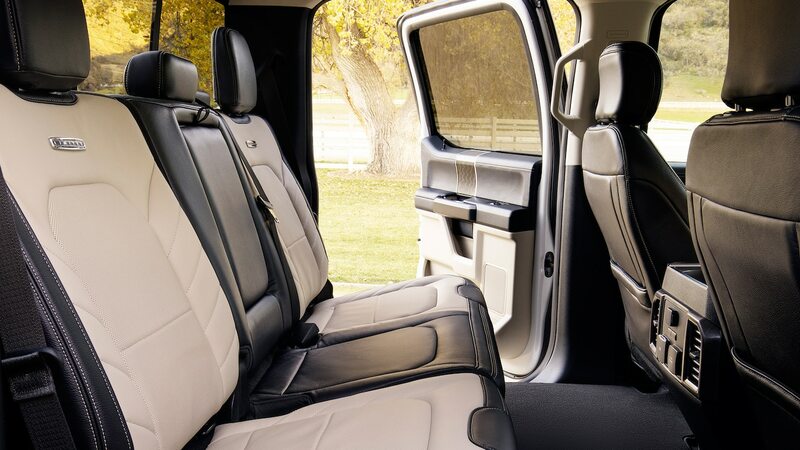 Some interior trim parts and materials have been upgraded, with Limited models getting the biggest upgrade in order to close the gap opened by the new Ram interiors. 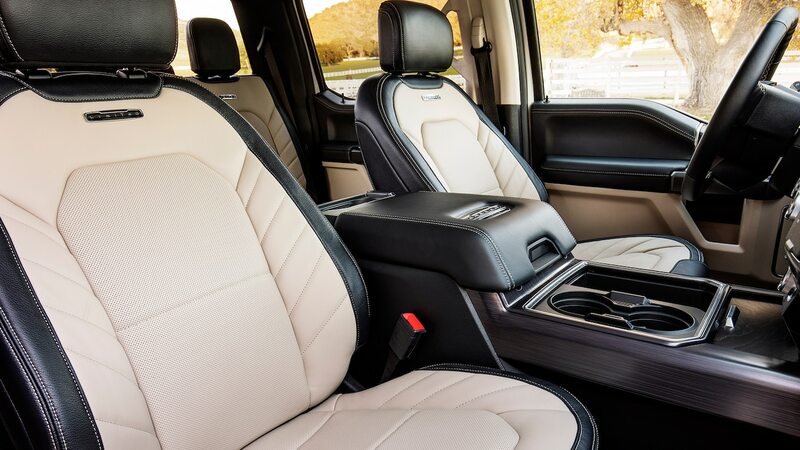 That model’s navy and parchment combo could be mistaken for a Ram until you spot its diminutive 8.0-inch infotainment screen. 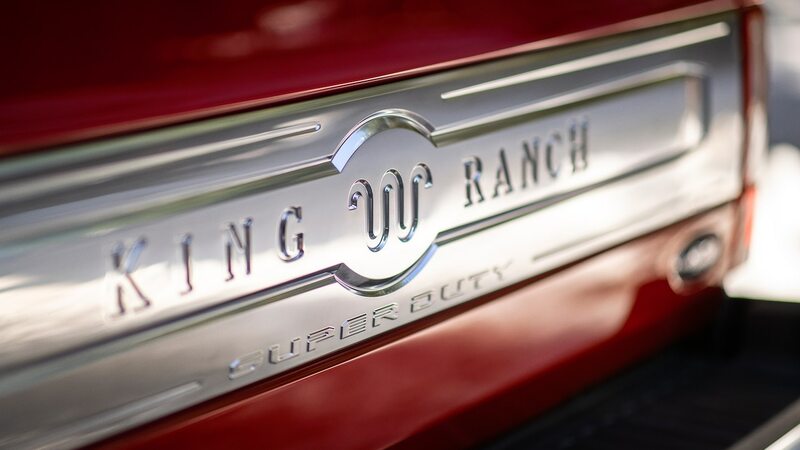 Keep it tuned right here come Truck of the Year time when we hope to subject all three domestic heavies to our own regimen of real-world and torture testing to reveal which truck truly is the king of the hill. 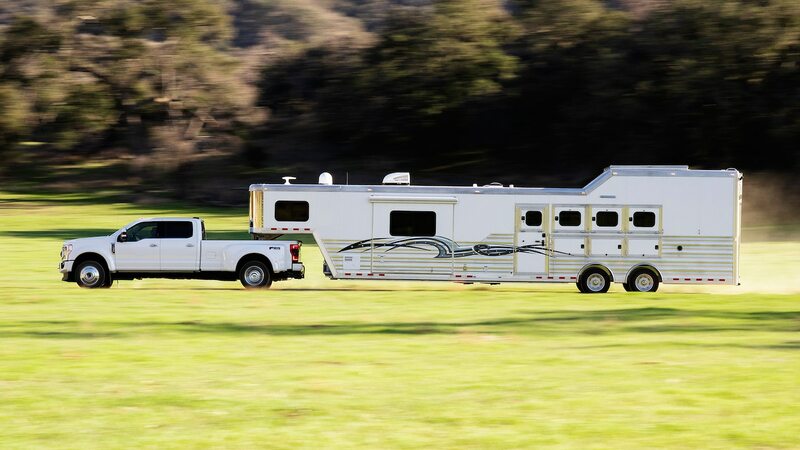 To program a fifth-wheel or gooseneck trailer to work with Pro Trailer Backup Assist, a yaw-rate sensor must be installed on a vertical surface of the trailer to measure the rate at which the trailer is pivoting. 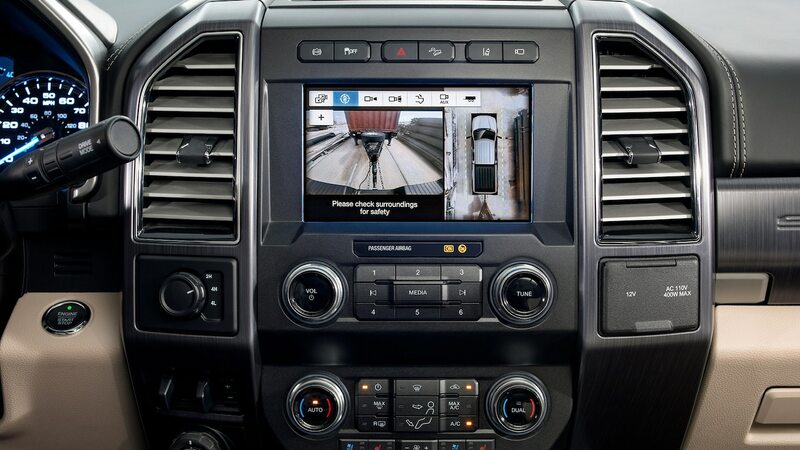 This connects to the truck (along with any trailer cameras) via a new 12-pin trailer wiring harness. 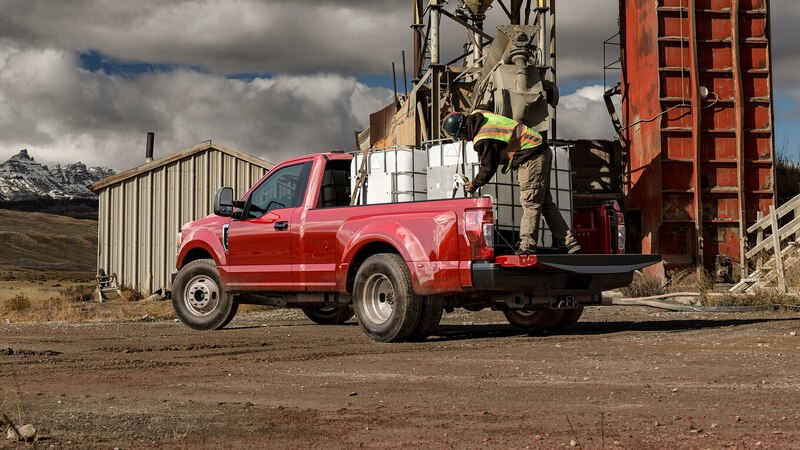 Then the driver calibrates the system by executing a few simple maneuvers so the truck can learn the distance from the hitch to the trailer axle. 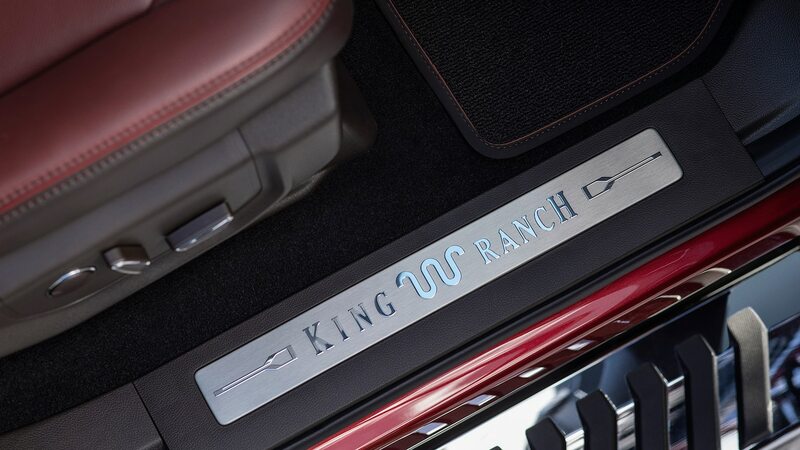 Then you’re in business.